★ Show off your love, your personality, your quirks and family with this triple charm collection! Please be specific during checkout. Include font sizes for each. Include what you want stacked if different than the main photo. You may request two 3/4" discs, or two skinny rectangles. Mini 1/2" disc may be exchanged for a mini 1/2" square (not pictured here). 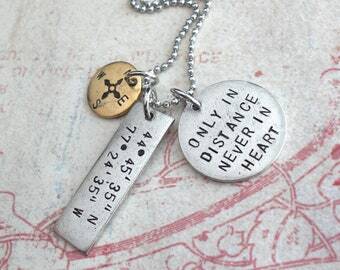 You can have me stack the mini charm on top of either the 3/4" disc, or the skinny rectangle. 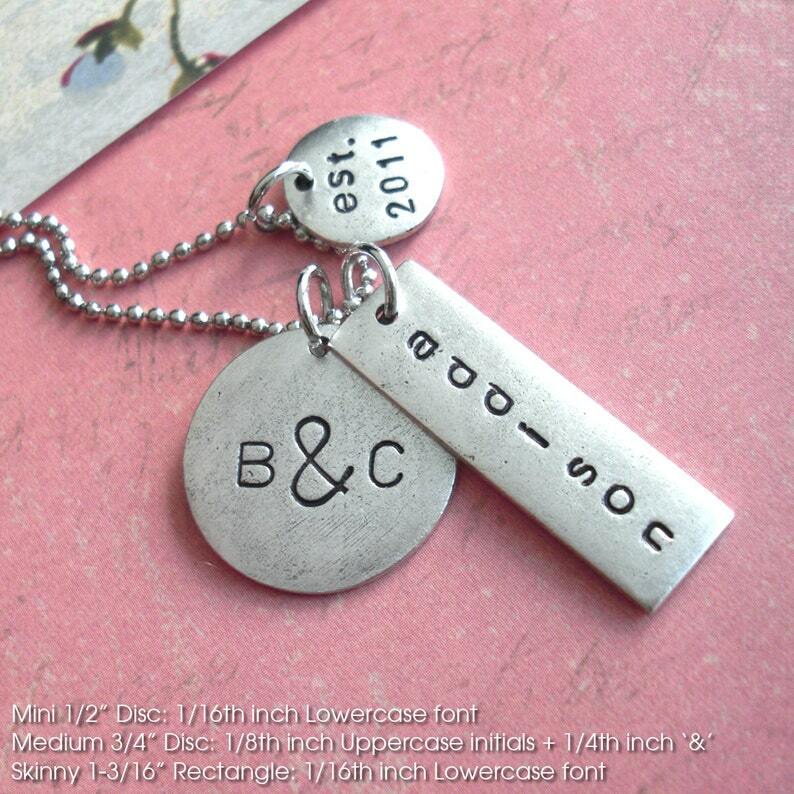 ONLY ONE WORD (or Name or Date) PER CHARM IS INCLUDED IN THIS LISTING. ★ Each charm may be a combination of silver, copper or gold. 4.) An 18" - 24" bead-ball chain is included. What length do you want? More quantities are available, just ask. 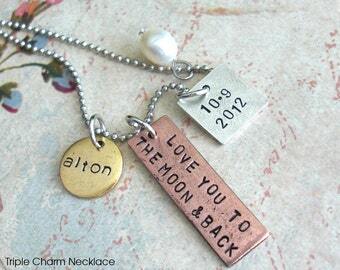 Check out my other listings in the "charms" section to add a crystal, pearl or chain to your order. Contact me if you have some old jewelry that you would like me to design a pair of earrings with! Just got the product and it’s exactly what we requested! Really looking forward to start wearing it. Quick shipping and beautiful end result. Very quick turn-around, looked great, and always appreciate the little notes from sellers -- makes you feel like they're invested in their items!